JEE ‘S passport holder takes you places! Made of soft cow leather with a hand printed gold or blush-pink leaf dessin and hand stamped text. 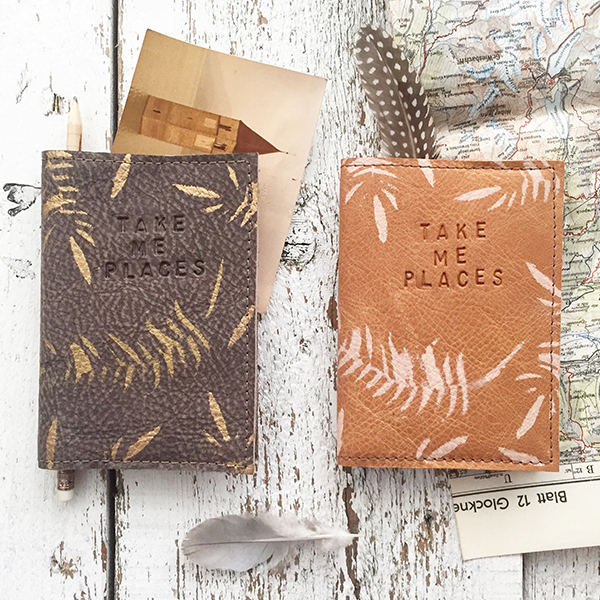 Each passport holder is unique and handmade with love for all you wanderers! Comes with a little travel notebook inside so you can write down all your new adventures. Please let JEE know which color you want to order: Vintage Natural or Grey Brown.